Most writers, I’m sure, have heard tell of characters who seemingly develop “minds of their own” and “take over” the stories they’re part of. Whether or not this phenomenon even truly exists was the subject of the second-most contentious discussion my writing group has ever had. One writer from my group absolutely believed that characters can come to life, and that them doing so is a quasi-spiritual experience for the writer – a channeling of the divine, uncontrollable inspiration that exists all around us. A writing of the story through us rather than by us. Meanwhile, another writer – one more pragmatic and given to rational explanations after my own heart – insisted that a writer is never not in control of his/her characters. That through having written about them for 300+ pages merely results in the writer coming to understand their motivations better. No divine inspiration; no whispers from the ethers. Just an instinctive understanding of how they’d truly react, just like with people you know well in real life. Surprisingly, I found I didn’t totally agree with it. I didn’t agree because I have had the experience of a character – the main character of my WIP – taking over. And while what she did seems logical now considering all I’d written leading up to it, in the moment, it brought me up short, and really did feel otherworldly and inspired by forces beyond myself. Even if only a little. In the end, I decided I didn’t really care about attribution – that the how of a character developing self-awareness was less important than the fact that it occurs at all. For it’s an awe-inspiring experience, after spending so much time contriving and manipulating a character’s actions and reactions, for him/her to suddenly become an active player in his/her own life. Plus, it only seems fair. On this subject of characters, I’ve been invited by my blogging buddy and literary sparring partner, Eric John Baker, to participate in the Meet My Character Blog Tour. The purpose of this tour is answer seven questions to introduce a character from one’s new, upcoming, or in-progress novel. I thus present my WIP’s protagonist, Aline. My character is Aline Meunier de Galleur. This is a name that reveals both her family’s humble origins – meunier is French for “miller” (for all that medieval millers were relatively prosperous peasants in being freeborn rather than serfs/villeins) – and its subsequent rise to nobility (de Galleur = “of Galleur”). That said, Aline’s father, despite the importance of his job, has only risen to the rank of impoverished knight – the lowest possible position within the social hierarchy that’s still technically noble – rather than a great baron or earl and direct vassal of the king. Aline is a fictional character set in a historical time period and begins the story at age 15. The story is set in medieval England in the early thirteenth century, mainly in the Midlands and a bit in Yorkshire. Aline is a proper medieval lady in every regard. She lives a life dominated by men as one would expect from that era. Yet she also has all a woman’s usual responsibilities for managing her family’s household that one might not be aware of. 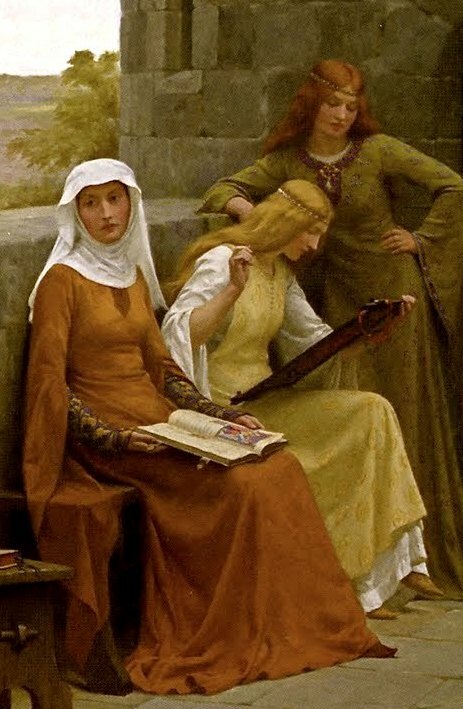 I use the above painting to represent her because it well illustrates the distinction between her and her two sisters. Unlike either of them, Aline always conducts herself with propriety (including always wearing a veil despite being unmarried and thus under no strict obligation to keep her head covered). That said, in carrying out her work – particularly in helping her father perform his duties to his liege and in trying to improve her family’s social standing – she employs great creativity, cunning, and political manoeuvring within her small sphere of influence, and wields her politesse like a weapon. Her mother died giving birth to her, for which her father blames and despises her. He is physically and emotionally abusive towards her, and has made no provisions for her future (neither a dowry nor any effort to find her a suitable husband). Aline’s deep-down inner goal is to earn her father’s love and admiration. However, after one beating too many, her immediate goal becomes to break free from him and plan her own future, which she does by accepting a secret job helping a baron succeed his deceased father amidst threats from rival claimants. This job proves a far greater test of skills than she imagined, elevating her to new heights of political chicanery, to witchery, to emotional instability, and to her most bold and treacherous strategy ever. I won’t tell working title is until the story’s finished because it feels too unlucky. Neither my best friend nor my mother know it. I’ll continue to blog about my WIP. 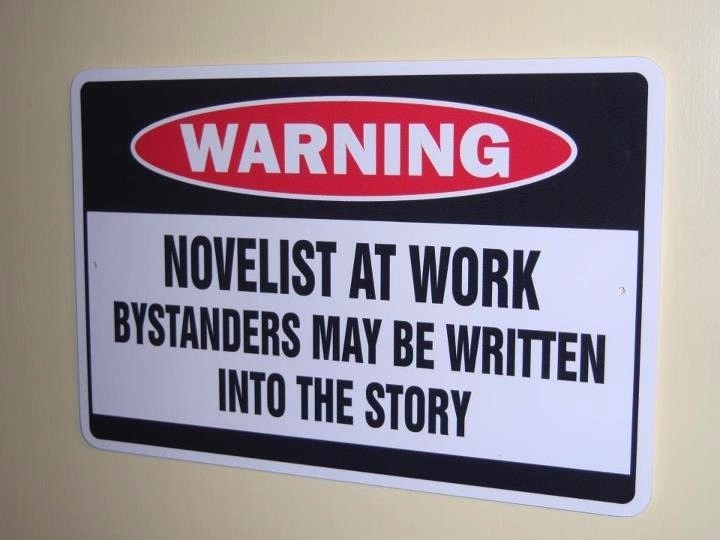 In particular, read any post tagged “WIP plot summary” as well as my “About my novel-in-progress” page. 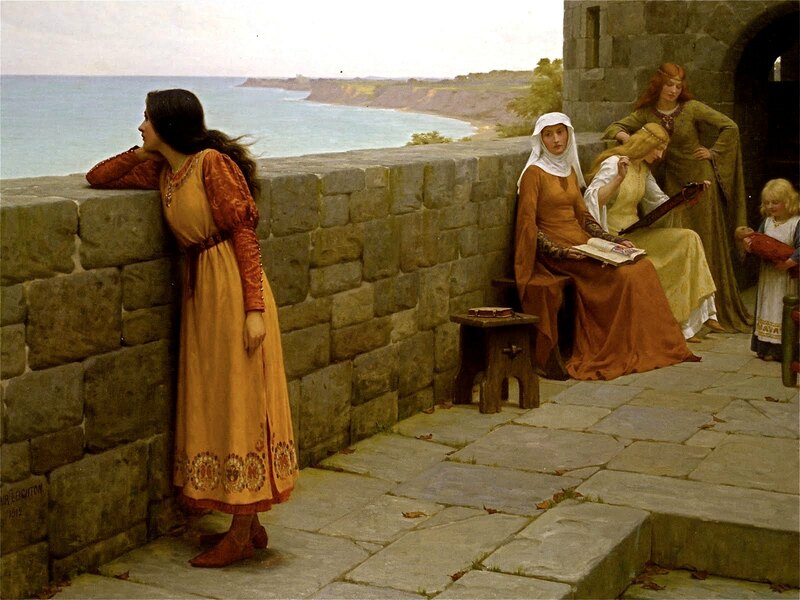 This entry was posted in Writing and tagged Character development, Characters, Historical fiction, Medieval times, Novel, Novel writing, WIP plot summary. Bookmark the permalink. ← Who Anchors Your Artistic Chain of Influence? Well done. I anticipate your actual storytelling to be as precision as this discussion about your story. Funny thing about worldviews and writing philosophies. Despite our lighthearted debates about the craft and our different approaches to writing, I believe you and I are not that different as people. I tend to think in terms of logic and reason and require comprehensive and superior evidence to be convinced I should change my opinion, and I will change it when I am presented with evidence that meets those standards. I am not given to emotional swings or histrionics, either, sometimes to the frustration of people who want to see some enthusiasm or emotion from me. Sound like you? All the more reason it is odd that I also have the experience of characters taking over my stories. I often feel like they exist already in an alternate universe and each keystoke of mine is pulling a bit more of them into this universe for inspection. Deep into my second draft, I’m finding their first-draft actions and words to be consistent with who they are, and I’m not revising much at all. Considering I did not know they existed until they showed up in the story, I feel there maybe something to “channeling.” It’s all in the brain, but it’s not conscious. That does sound like me. A LOT like me, actually. You are my blogging twin brother from another mother! I like your alternate universe analogy. It really is like they’re out there somewhere, communicating to us across space and time. From a quantum physics perspective, it is possible different versions of ourselves from parallel worlds have already completed our respective novels. Maybe we’re even bestsellers in those universes too! I spend a LOT of time on character development – writing their backstories, playing around with their voices, finding pictures to represent them in magazines or on the internet. This is the first thing I do with a new project – long before I dive too deeply into the minutiae of the plot. I find that once I know the characters really well (particularly the protagonist), s/he ends up doing most of the plotting work for me just through being him-/herself – a self that’s both inside of and a part of me, yet separate and different and its own entity. Ooh. Maybe in the alternate universe our characters are real and we are fictional! Your writing approach suits our personality much better than mine does. I’m the anomaly in our family. Who knows. I’ve often asked my mother to prove that I wasn’t adopted. You are just a tease Janna, showing your WIP little by little. It’s going to be hugely well-researched and informative but I’m sure you want to entertain above all. Can’t wait to read it, though I guess it’ll be a while yet. I’m sure that, in your writing, you step into Aline’s shoes (if she’s wearing any under that dress) and let her decide exactly how she’s going to proceed to the next turning point in your story. I think to that extent the main characters can lead the way. Yes, Aline does have shoes, and at this point – both how far along I am in the story and how long she’s resided in my head (since 2005) – I’ve come to know her very well. She’s very much an active participant in the storytelling. I hear her “voice” in my head quite clearly, and it’s not uncommon when I get stuck for me to ask her what should happen next. It may take a day or two, but eventually she’ll whisper something useful to me. My vote is “both.” But I can see why people call b.s. on the idea of characters magically appearing unless it’s happened to them. One of my characters appeared to me unexpectedly when I was writing my first book. He already had a name and everything. Turns out he’s the most well-developed character in the series so far, and I’m sorry, but I feel like I had nothing to do with it. Witchery? Emotional instability? Publish this thing, woman. I need something good to read. All my recent reads have been duds. I find especially that secondary characters often appear unexpectedly, or at least have far more depth than their initial role as spear-carriers would suggest. This also happened in this WIP, and the character is question is a real snit too (super fun to write). I’m writing like the wind, I promise! I’m actually at a climatic witchy scene right now. Ooh, ooh! Tagged. I WILL do this – thanks. Now all I have to do is decide WHICH character in Pride’s Children gets the nod: Kary, Andrew, or Bianca. Which would you like to see? And then what do I do after? Tag two more people? Tell someone I’ve passed it on? Thanks – so appropriate now (except for reminding myself I want to publish in October, and I need to finish, too) because that kind of knowledge helps with marketing. PS Were you going to tell me? I dropped by, as I do daily, and found myself tagged. Hi Alicia, I’m glad you will participate. Maybe your protagonist would be a good choice. Or are those three all protagonists? There’s nothing in the rules (I don’t think there even are rules) that says you can’t do more than one.